When done properly, PPC can be an incredible channel for new customers at a healthy, positive ROI because PPC is intent based, meaning users are actively searching for your product or product category. The only problem is, not everyone converts right away. The average website has a conversion rate of 2.5%, but the other 97.5% needn’t go to waste. It’s up to your display ad retargeting campaigns to keep your brand top of mind and get them to come back. Display uses visuals to put your brand in front of as many eyeballs as possible. 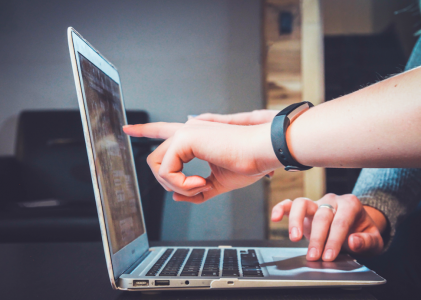 Display ads are the billboards of the internet, allowing you to engage with your target audience while they are in the awareness and consideration stage. Here, you’ll learn exactly what retargeting is and how to use it to recapture visitors and customers. These are users who haven’t purchased from you in a while or have taken no action at all. 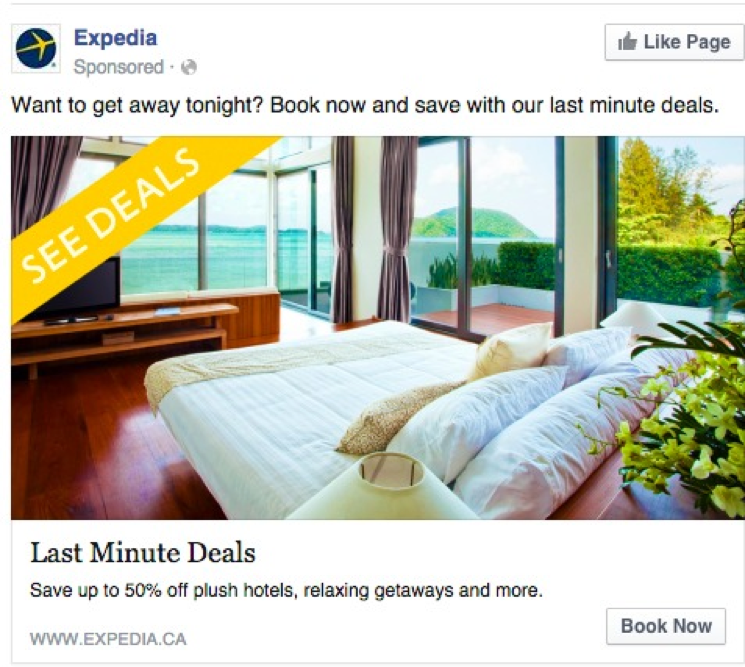 What is Display Ad Retargeting (And Why Should You Care)? Retargeting is where ads are displayed around the web to people who have already engaged with your website or are part of your contact database (as a lead, subscriber or existing customer). This script captures the details of those who visit your site by placing a cookie in their browser. Through cookie matching, users are added to an audience that is available for retargeting for up to 180 days. Users are then served relevant ads as they browse across the web and on social media. Pixel Retargeting: This is what fuels most retargeting campaigns. 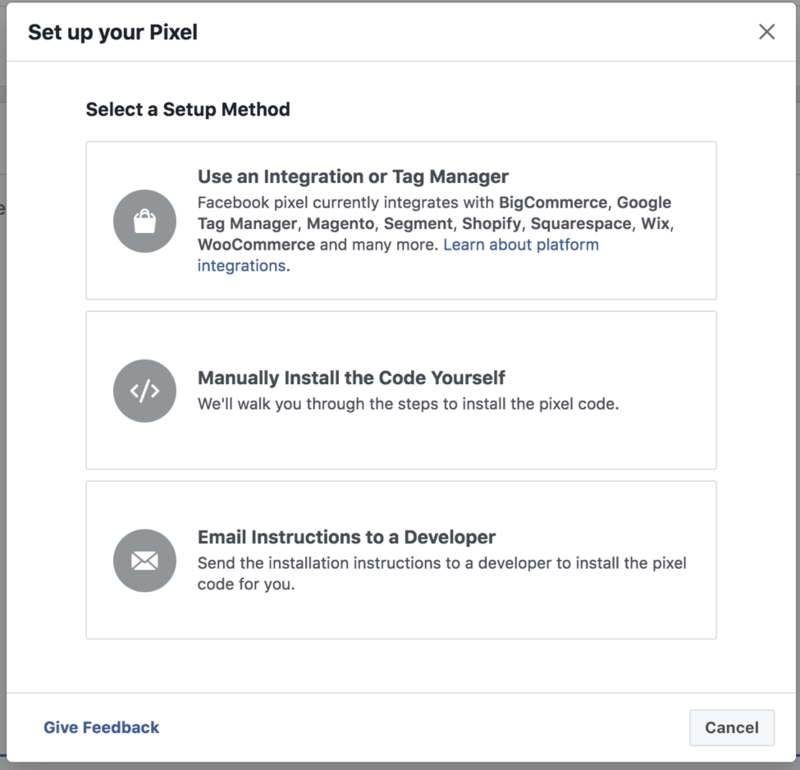 A pixel is simply a line of code (outlined above) that tracks the websites a user visits and their behavior to determine interests, as well as other demographic and psychographic variables. This technology works in real-time, meaning users may see ads the moment they bounce away from your website. 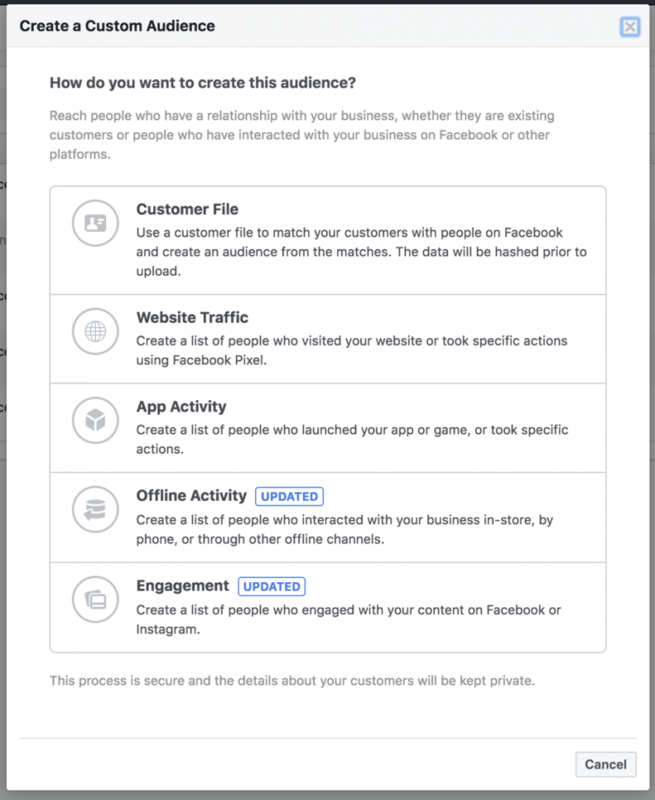 List Retargeting: You can use your existing database of subscribers, leads and customers to fuel your display ad targeting. 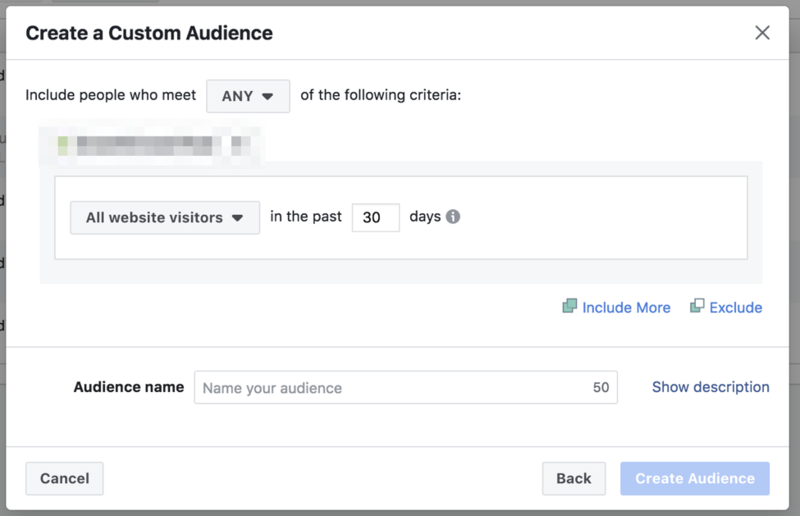 Many platforms, such as Facebook Ads, allow you to upload your lists as custom audiences. The benefit here is that you already know who you’re targeting, meaning you can segment ad creative and calls-to-action based on the consumer insights you have already generated. Using display ad retargeting, you can re-capture attention by “upselling or downselling” across the marketing funnel and re-engage your audience across the web. This helps you to generate attention and leads by addressing relevant challenges to each stage of the customer journey and helps to reinforce brand messaging. Before we dive into how to use this technology, it’s important to set goals first — because no successful marketing initiative is possible without them. Top-of-mind awareness: Simply put, display ad retargeting can be used as a brand building play. Marketers can maintain a top-of-mind awareness as their audience browses the web. Lead generation: Let’s say a user visited a landing page that offers a free trial of your software. However, they’re still in “research mode” and leave without taking action. Using display ad retargeting, you can serve calls-to-action higher up the funnel to re-capture their attention. For example, an ebook that teaches them how to solve a relevant challenge. Customer acquisition: Display ad retargeting is popular among ecommerce, retail and other consumer brands. It allows them to serve offers based on their behavior and purchase history. For example, giving a discount on a product left in the cart without checking out. As you’ll soon learn, your goal must align with each touch-point across your marketing funnel and customer journey. Display ads, landing pages and the overall experience you deliver must be congruent across each step. So, now you know how retargeting works and what it can do for you. Assuming you’ve set your goals, it’s time to choose which platform you’ll use for your display ad campaigns. This can often mean a period of experimentation. Each audience will respond differently depending on messaging, creative and the channel they’re served on. However, if you have a strong understanding of your audience, you should already know exactly where to find them. If you’re already running Google Ads, then getting started with retargeting ads is a breeze. More than 640 million websites are part of Google’s Display Network (GDN), meaning your ads have a huge potential reach. Visited page: Enter the details of the page(s) that your audience must visit to see your ads. Locations: Target the geographics where your audience can be found. Bidding: Here, you can choose the metric by which you pay. For example, “Clicks” will charge you whenever someone clicks on your ad, while “Conversions” will charge you whenever someone takes action on your landing page. Budget: Select your daily budget, calculated based on your overall monthly/annual budget for each channel. We’ve put together an entire guide based on the science of choosing your PPC budget that you can read here. 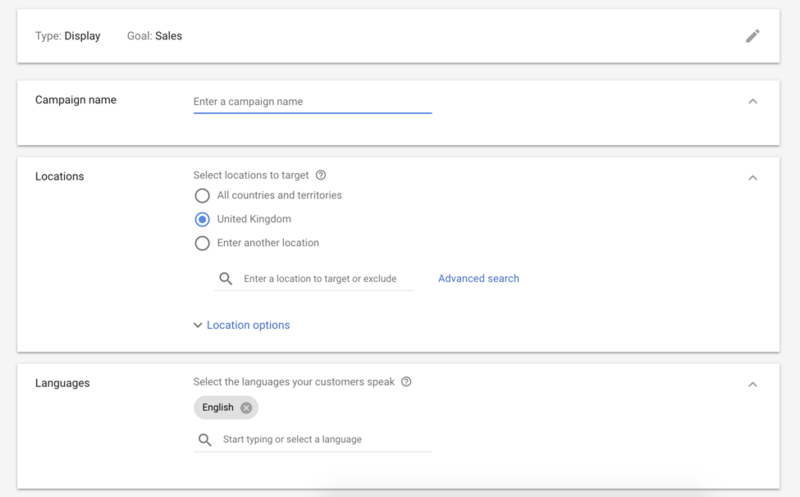 Then, select the remarketing audience you created in the previous step. Automated targeting: Here, you can set a level of automation for your targeting. If you’re just testing GDN’s capabilities, we recommend you stick with “Conservative automation” for now. The final step is to create the ad itself. Google provides two options: uploading assets or creating responsive ads. 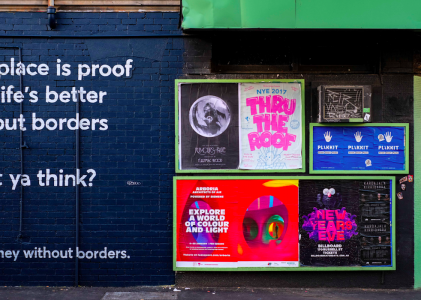 As far as ad creative goes, you have far more control when creating them yourself. You’ll learn how to do this later in the guide. For the more technical side of setting up remarketing, check out Google’s documentation. Facebook Ads is loved by marketers in all industries. With powerful targeting options and over 1.3 billion daily active users (not to mention access to Instagram) it’s easy to see why. From here, you can create an ad that targets this audience in the same manner you would any Facebook ad. You have your targeting all set up. 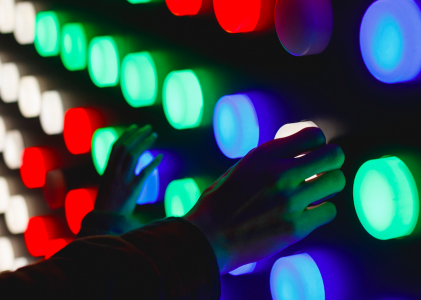 Now, it’s time to create display ad retargeting creative that will drive results. 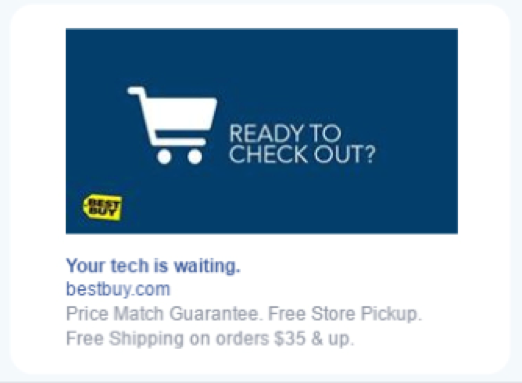 Here, they’re reminding customers who haven’t finished the checkout process to come back and finish their purchase. Although it acts as a good reminder (and keeps their brand top-of-mind), it’s not super personalized. When a user visits a product (or adds it to their cart), the retail brand serves specific ads related to the products that the customer expressed an interest in. They then include a discount to sweeten the deal even further. The goal is to educate visitors or leads who have not yet become customers. This approach is incredibly effective for nurturing visitors who are yet to take a business critical action, such as signing up for a free trial. Targeting, targeting, targeting: I know, you’re sick of hearing it. But this is the first fundamental step to retargeting. Make sure you’re serving ads relevant to the pages/behaviors of your users. Eye-grabbing visuals: Display ads need relevant and eye-catching visuals. You need to grab attention while a user browses social media or another website. The examples above do this well, using sharp colors and bright visuals to capture attention. The hero: As well as being attention-grabbing, the images used all feature what it is each brand is trying to sell. Whether that be an ebook, weekend away or physical product. Customer journey awareness: Make sure your ad campaigns match the customer journey. In the Marketo example above, these ads are served to those who have only begun researching the Marketo platform, whereas the Cole Haan ad is aiming to get the user to purchase a specific ad they’ve already expressed interest in. Want to take your display ads to the next level? Check out our complete guide to display ad creation: What Are Display Ads? 5 Steps to Effective Visual Advertising.